The charted statistics below go through July of 2012. Since July of 2012, GBMC has been sued 43 times, at least with lawsuits against the defendant “Greater Baltimore Medical” followed by various variations of what are clearly GBMC lawsuits. Of all the lawsuits above, more than 30, possibly more than 35 are medical malpractice lawsuits against GBMC. 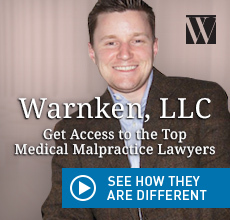 The lawsuits have been brought by such attorneys as Alison Koehler, Michael Belsky, David Ellin, Julia Arfaa, Phil Federico, Jonathan Schochor, and numerous other, mostly well known medical malpractice law firms and litigators. All of the lawsuits were brought in either Baltimore County or Baltimore City. However, in multiples occurrences the venue was changed to Baltimore County on cases brought in the City. The hospital is in the County. Many of its patients are County residents. Even for those who are not, however, the suit is likely going to take place in the County as it’s the defendant location and location of services rendered are County. GBMC delivers a lot of babies. Therefore, cases are sometimes birth injury cases. There is no way to determine, just from the statistics, when a lawsuit is a birth injury case against GBMC. However, in seeing who the co-defendants are in any given case often can give an indication. Moreover, some lawyers concentrate in birth injury lawsuits, frequently against hospitals such are GBMC. Side note: the author of this site was born at GBMC as were both of the author’s children. If I had more children, they’d be born at GBMC. It’s a great hospital. That said, medical negligence and medical mistakes happen and a patient should not have to pay for these mistakes. If a doctor and/or a hospital is negligent, the case should be pursued. If there’s a possibility of negligence, it should at least be investigated. If you might have a case against GBMC, study the statistics and study the attorneys. If you need assistance in selecting a lawyer and arriving at an appropriate fee with that attorney, get assistance from the FeeReducer.